Weighs only about 230g (8.1 oz). 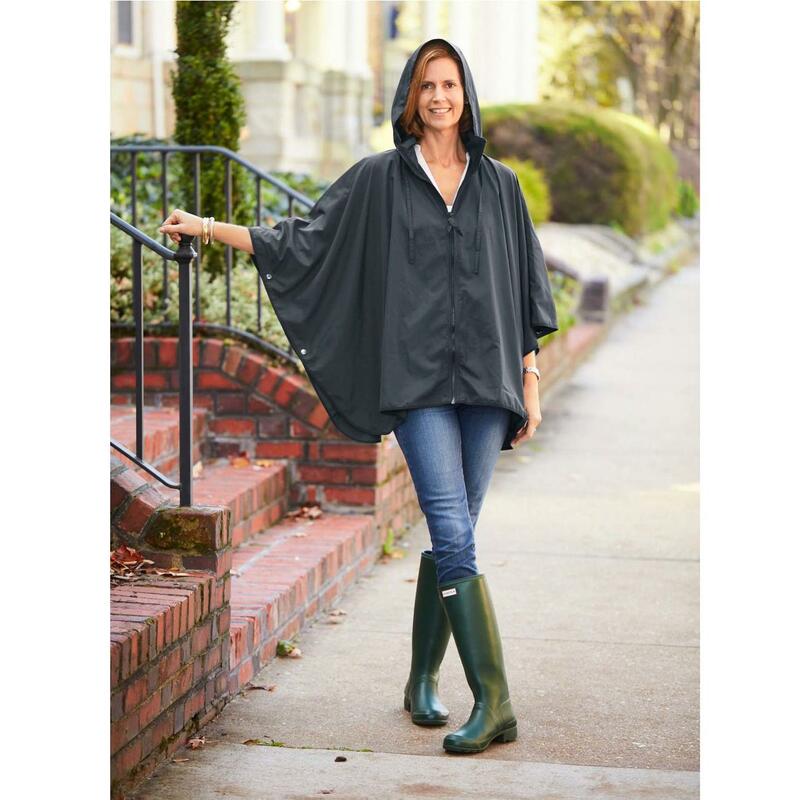 The pocket poncho with zip and stand-up collar hood. 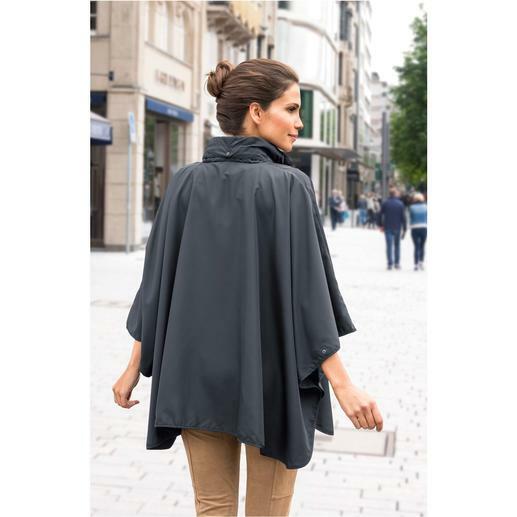 The poncho shape with the hood hidden in a stylish stand-up collar is much more sophisticated than the usual foldable rain jackets. The generous cut also fits comfortably over a jacket or coat in cold weather. And unlike typical rain ponchos, this one is opened by means of a zip, so you don’t have to put it over your head: Your hairstyle will remain impeccable. 2 side press studs each fix the armholes and prevent the poncho from slipping unintentionally. The hood is individually adjustable with a drawstring. The material looks smart, has an elegant sheen and does not crackle or rustle. After rain, it dries in no time. Stowed in the matching bag, the pocket poncho is as small as an e-book reader. It fits easily into your handbag or laptop bag and is always to hand for a sudden downpour. Microfibre made of 100% polyester. Cold wash. Colour: Black. For women, sizes 10 to 18. Folded up into a small flat bag in the same fabric, this poncho, with poppers at the side to make sleeves, is a truly stylist cover up in the rain. The collar holds a hood with a draw string to make it cosy and waterproof around the head. The fabric dries quickly so can then be packed into its bag.